Currently, the treatment of diabetes has one main purpose; help regulate the blood glucose levels in the patient’s body. When it comes to diabetes, one of the most important aspects of treatment is the proper management of the disease, which for many means adhering to a healthier lifestyle. Diabetics must remember to maintain a healthy body weight and develop a proper diabetic diet in order to keep their blood glucose levels in the healthy range. This is often even more important than insulin therapy or any other prescription drugs for diabetes. 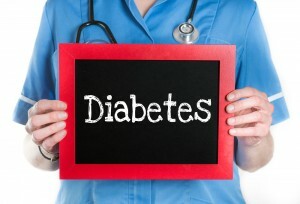 What should one be looking for in a diabetic diet? Well, the most effective meal plans will vary from cases to cases, but there are some basic principles to keep in mind. First off, a diabetic diet will help to lower the patient’s overall sugar intake, since their body cannot properly process glucose anymore. These diets should also be low in cholesterol, carbohydrates, calories, and fat. You can speak with your doctor, nutritionist, and endocrinologist about developing a dietary plan that is right for you. They will probably recommend getting regular exercise in addition to making these dietary changes, as this will help to shed excess body mass. For people with type 2 diabetes, an effective exercise regimen and diet can help their bodies regain healthy sensitivity to insulin and manage their blood sugar levels. Now, there are also a variety of medications and insulin injections that can be prescribed for people who have been diagnosed with diabetes. If their patient runs the risk of developing further complications, doctors may take extra precautions to help them further regulate their cholesterol levels and blood pressure. In some cases, they may even recommend that their patients take a daily dosage of aspirin for their condition. Type 1 diabetes develops in the body if the immune system begins to attack and destroy the beta cells of the pancreas. Without them, the body is no longer able to produce insulin, and thus cannot process the glucose obtained from food. Thus, the cells are no longer receiving adequate sustenance, and the body will soon begin to suffer as glucose levels begin to build up in the bloodstream. The symptoms of type 1 diabetes (also known as juvenile diabetes) can come on rather suddenly. With type 2 diabetes (also known as adult-onset or non-insulin dependent diabetes), the patient’s body has actually become resistant to the normal level of insulin that it produces. This forces the pancreas to work even harder to produce an adequate level of insulin for the body, but this cannot persist. Over time, the pancreas will not be able to continue producing enough insulin to meet the body’s demands following the individual’s latest meal, and then the blood stream will inevitably become overloaded with glucose. If people with type 2 diabetes are still having issues with their blood sugar levels after implementing some of these lifestyle changes, then doctors will often prescribe insulin therapy or oral medications. Talk to your doctor about developing a course of treatment tailored to your specific case of diabetes. No two cases of diabetes are exactly alike, and that means that some medications may work for some but not others. If you need to lose some weight for your condition, talk to your diabetes management team about how much weight you should be looking to shed in order to reduce further risk of stroke or heart attack. With the proper diet, exercise, and body weight management, you can regain control over your diabetes and live the life that you want to.